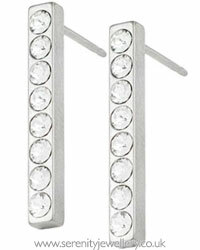 Hypoallergenic Blomdahl natural titanium 10mm and 20mm brilliance straight pendant drop earrings. 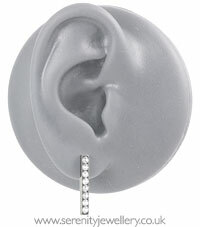 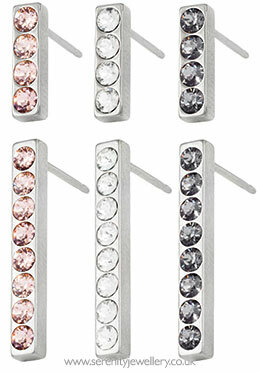 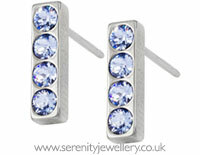 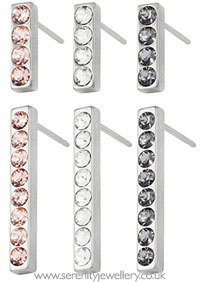 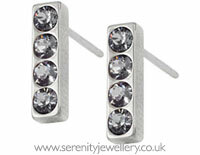 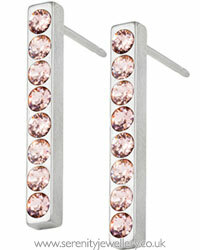 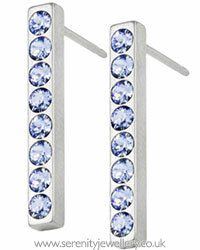 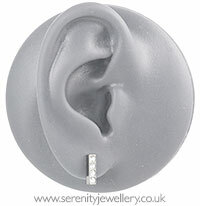 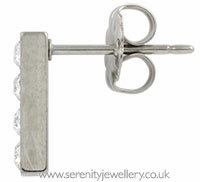 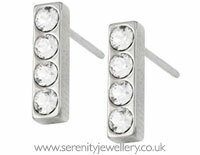 The 10mm earrings have four 2mm clear Swarovski crystals, the 20mm earrings eight crystals. 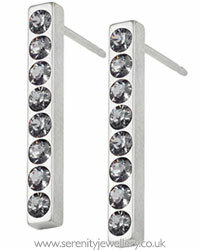 These earrings come with titanium butterfly backs.